In August and September 2005, many of the people who were evacuated from settlements in Gaza and the West Bank left their animals behind. 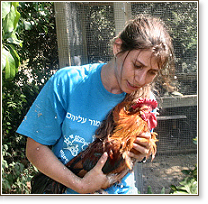 CHAI's sister charity in Israel, Hakol Chai, entered the settlements to rescue the abandoned animals. Photos were taken during the rescue by Avi Hirschfield.